Propolis is a resin-like material from the buds of poplar and cone-bearing trees. Propolis is rarely available in its pure form. It is usually obtained from beehives and contains bee products. Propolis is used for cancer sores and infections caused by bacteria (includingtuberculosis), by viruses (including flu, H1N1 “swine” flu, and the common cold), by fungus, and by single-celled organisms called protozoans. Propolis is also used forcancer of the nose and throat; for boosting the immune system; and for treating gastrointestinal (GI) problems including Helicobacter pylori infection in peptic ulcerdisease. Propolis is also used as an antioxidant and anti-inflammatory agent. People sometimes apply propolis directly to the skin for wound cleansing, genital herpes and cold sores; as a mouth rinse for speeding healing following oral surgery; and for the treatment of minor burns. In manufacturing, propolis is used as an ingredient in cosmetics. Propolis seems to have activity against bacteria, viruses, and fungi. It might also have anti-inflammatory effects and help skin heal. Cold sores. Applying a specific 3% propolis ointment (Herstat or ColdSore-FX) might help improve healing time and reduce pain from cold sores. Genital herpes. Applying a 3% propolis ointment (Herstat or ColdSore-FX) might improve healing of recurrent genital lesions caused by herpes simplex virus type 2 (HSV-2). Some research suggests that it might heal lesions faster and more completely than the conventional treatment 5% acyclovir ointment. Improving healing and reducing pain and inflammation after mouth surgery. There isn't enough information to know if propolis is safe. It can cause allergic reactions, particularly in people who are allergic to bees or bee products. Lozenges containing propolis can cause irritation and mouth ulcers. Special Precautions & Warnings:Pregnancy and breast-feeding: Not enough is known about the use of propolis during pregnancy and breast-feeding. Stay on the safe side and avoid use. 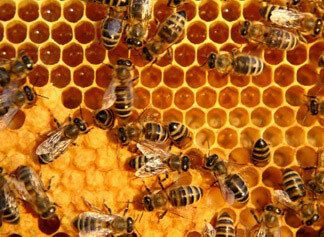 Asthma: Some experts believe some chemicals in propolis may make asthma worse. Avoid using propolis if you have asthma. Allergies: Don’t use propolis if you are allergic to bee by-products including honey, conifers, poplars, Peru balsam, and salicylates. For cold sores: A 3% propolis ointment (Herstat or ColdSore-FX) applied 5 times daily. For herpes outbreak: A 3% propolis ointment (Herstat or ColdSore-FX) applied to the blisters 4 times daily. As a mouth rinse after mouth surgery: A solution containing propolis, water, and alcohol.